A constantly growing number of Seventh-day Adventist young men and women are pursuing advanced studies, thus developing their God-given talents. Whenever they can they attend our 105 colleges, seminaries and universities. However, for a variety of reasons, most of these students are enrolled in non-Adventist institutions of higher learning worldwide. In many countries these students have felt the need to organize themselves in associations or fellowships, for mutual encouragement, service and outreach. 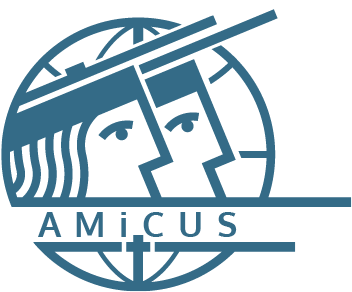 The logo AMiCUS stands for “Adventist Ministry to College and University Students”. Provide training for campus chaplains and pastors in university centers, and develop materials to support their ministry.